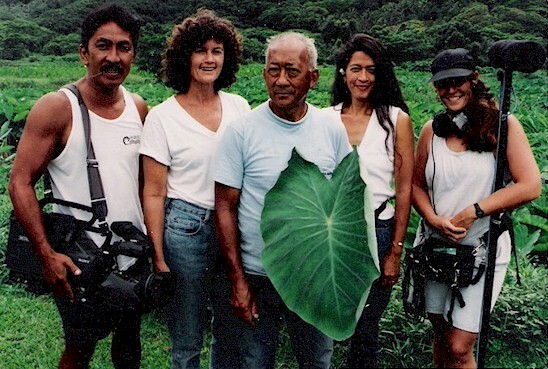 Victoria Keith Productions is an independent production company from Hawai’i that has been making documentaries about Hawaiian culture, environment, and land issues since the mid 1970’s. Beginning with Two Green Valleys, documenting the attempted eviction of a long-standing farming community on Windward O’ahu, Victoria Keith Productions (originally known as Windward Video) went on to document other community struggles for land, water, and culture, notably The Sand Island Story and Back to the Roots. Many of the Windward Video/Victoria Keith Productions videos have been broadcast on local and national public television and have been featured at film festivals in Hawai’i and internationally. In addition to the documentaries, VKProductions maintains an extensive collection of archival footage of Hawai’i people and locations, and some fully-documented social struggles such as the eviction of the Sand Island community in downtown Honolulu.